This entry was posted in android, Apple, iLom and tagged Android, iOS, Lords of Midnight, new features, testing by Rorthron. Bookmark the permalink. Some games have a patch every day =) so long as fix that shows the lord who is tired / coward works.. I am happy! Been playing 1.05 for some time and found one rather big bug (or it may be feature?) – when you free citadel or keep that used to belong to the Fey or Targ it always becomes Free citadel/keep nevertheless who frees it and nevertheless who did it belong to. This makes pretty impossible to Fey and to Utarg to rebuild their armies since they can’t recruit Free warriors/riders. That’s standard gameplay as per the original. However this has been addressed but will be introduced in the future under gameplay changes. Congratulations, Chris. You did it for the 18th of February as planned (I read elsewhere the reason – nice). Midnight 1.06 has been available at iTunes since this morning, 17th of February. I can confirm that, in iPad, the problem with unresponsiveness is gone (I have used a saved game with all the lords, and played for about 20 more days) and all the new features are an improvement. I have not noticed anything else; actually I am not looking for it – I am just enjoying the game. Now time to look forward to Doomdark’s Revenge. Well, while we wait, we can keep on playing Lords of Midnight. I have just read your comments on Facebook (I don’t do Facebook, sorry, that’s why I am writing here). Yes, the in memoriam screen does not show now. A pity, but you will solve it in a new version. It might be worth noting, it might be my memory playing tricks. 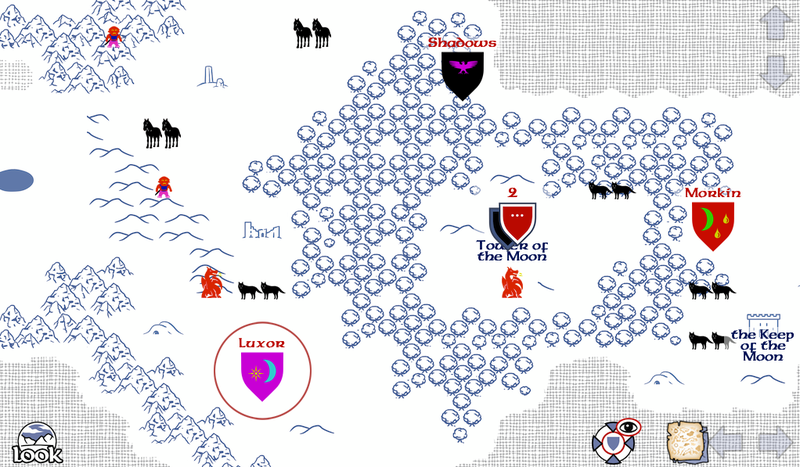 Doomdark’s regiments on the Plains of Despair and regiments in fortifications seem to react only when someone is adjacent (the plains problem, when Doomdark never attacked even adjacent lords on plains, is gone, though). I seem to remember that in your own early versions when someone was two or three positions away, the regiments used to attack, and it might still be the case. But, with a saved game (I have not reached to anything remotely similar, with a new game), Doomdark’s regiments stand until you are one position away. This has happened in all the keeps around the mountains protecting Ushgarak and also with the Citadels and the riders regiments on the Plains of Despair (and I think the big group of warriors in Ushgarak, it has not reacted until I was one position away. Anyway, perhaps, it has always been this way or I might not have been patient enough this time around. All the same, it plays very well and the short summary on the Continue game screen is a real help.